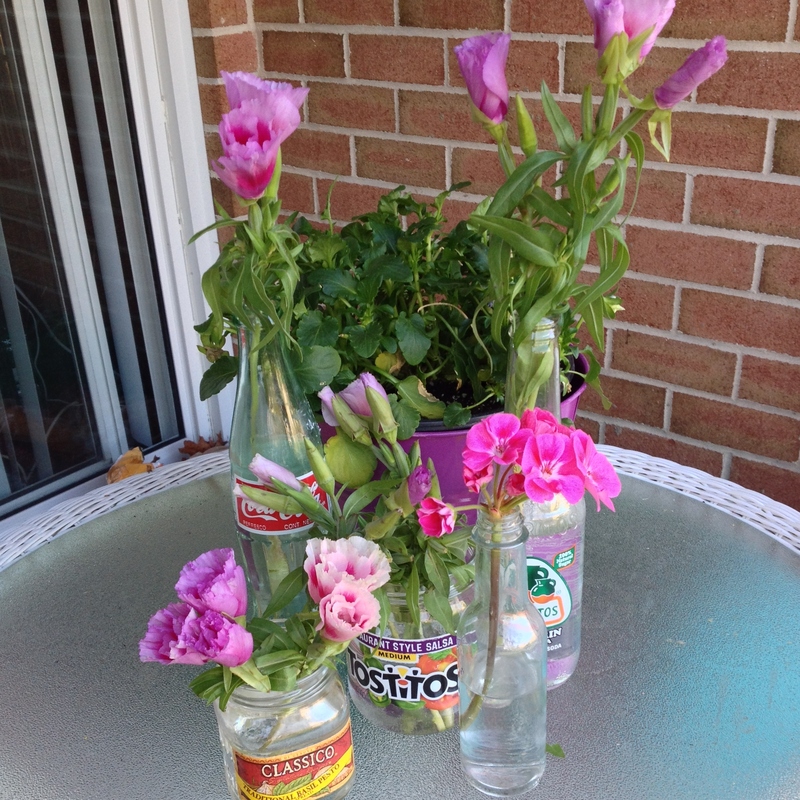 This is a super fun, no skills required way to recycle and craft/decorate at the same time! 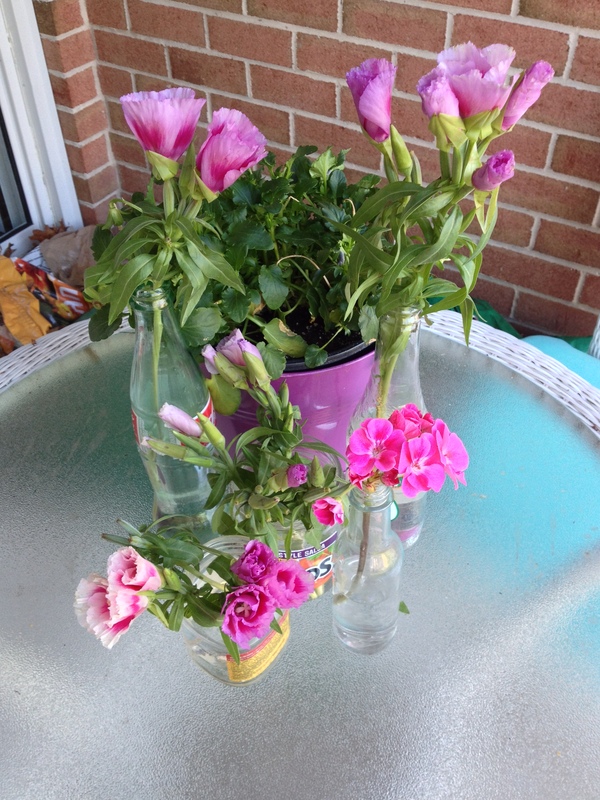 Instead of buying small bud vases, simply rinse out old jars and bottles. My favorites are salsa jars and Mexican soda bottles.